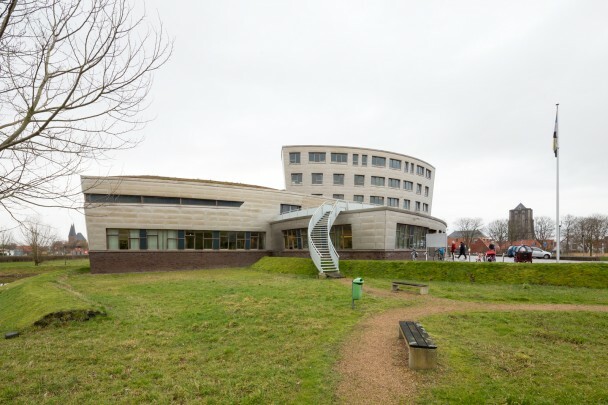 The municipal hall of Schouwen-Duiveland in Zeeland occupies the site of a former bastion. Its plan takes the form of a lotus flower, the petal-shaped office floors converging at the main hall on the ground floor; the council chamber has an entire 'petal' to itself. Offices are strung along the forward-tilting, titanium-clad facades about a triangular central well. The supporting structure combines steel V's and oblique concrete columns.